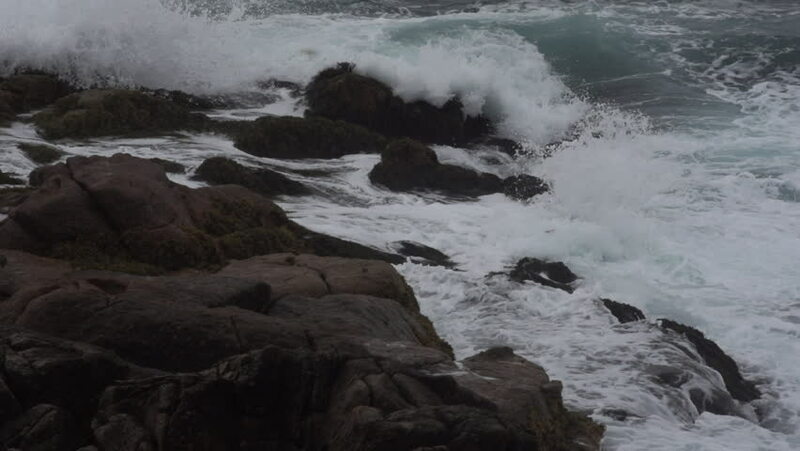 Heavy waves from the Atlantic Ocean break and crash in slow-motion, over the large rocks of a rugged Nova Scotian coastline on a stormy day in St Margarets's Bay (near famous Peggy's Cove). hd00:10Stormy water of a mountain river flowing in the valley. Georgia. Upper Svaneti.